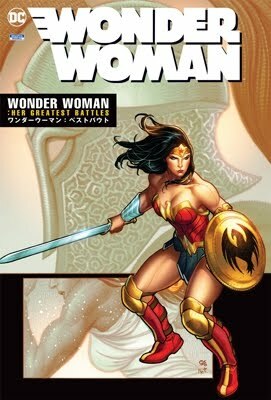 John Byrne discusses Wonder Woman and Darkseid vs. Galactus; 4-page PunX preview by Keith Giffen and Claude St. Aubin; Ben Dunn talks about Warrior Nun Areala and 10 years as an independent; William Tucci interview on Shi; interview with Dark Horse Presents editor Bob Schreck; Aliens vs Predator: Booty Part 5 (2-page strip) by Barbara Kesel and Ron Randall; Jim Valentino comments on The Alliance; Ron Marz comments on Zealot; Marat Mychaels talks about Law and Order; George Perez interview on I-Bots; interview with Ryoichi Ikegami; Larry Elmore interview; Paul Chadwick interview on his trading card series; article on "Expanding the World of Collectible Card Games." Covers: Batman: Man-Bat by John Bolton; Berserkers by Dan Fraga. Cover price $2.25. A note that Previews Vol. V #6 (June 1995 for items shipping August 1995) includes a 4-page interview with George Perez. Some of the titles/topics discussed: I-Bots, The New Teen Titans, Wonder Woman, and how the comic book industry's changed. Previews: Here's a variation on the old "Who's stronger, Thor or the Hulk?" question. Honestly, George. You. John Byrne. A friendly game of yard darts. Who wins? George Pérez: John wins. My fingers are very double-jointed, so I can't throw worth a damn. GPz: ...and he challenges you to a game of lawn darts. Who would win?